If you’re familiar with the Walking Dead comic book, there’s one name that fills your heart with dread more than any other — and makes the Governor look like a grumpy local functionary: Negan. 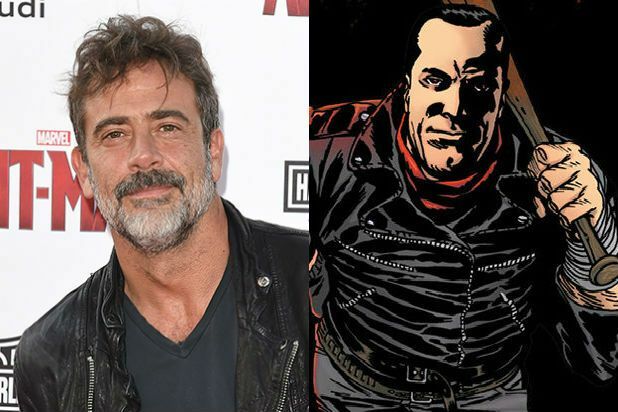 Genre veteran Jeffrey Dean Morgan, known for playing the Comedian in the Watchmen movie and John Winchester on SUPERNATURAL, has won the villainous role that has long been anticipated by fans of the show. Negan is expected to debut in the sixth-season finale and become the Big Bad for season seven. There’s a ginormous !SPOILER WARNING! attached to this character, which I will hold until after the cut… If you make the jump, you have been warned! This is a fun info graphic put together by the good folks at HalloweenCostumes that breaks down every lightsaber that has appeared onscreen in the films, STAR WARS: CLONE WARS and STAR WARS REBELS, whether used by Jedi or Sith.